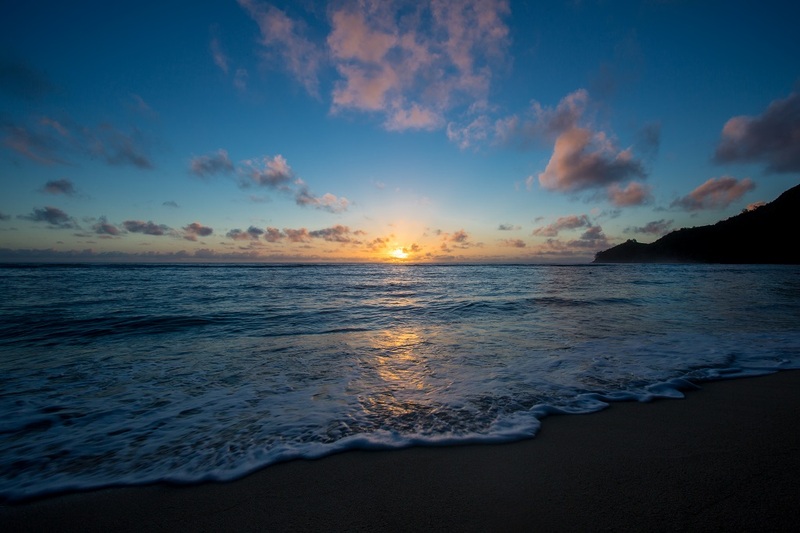 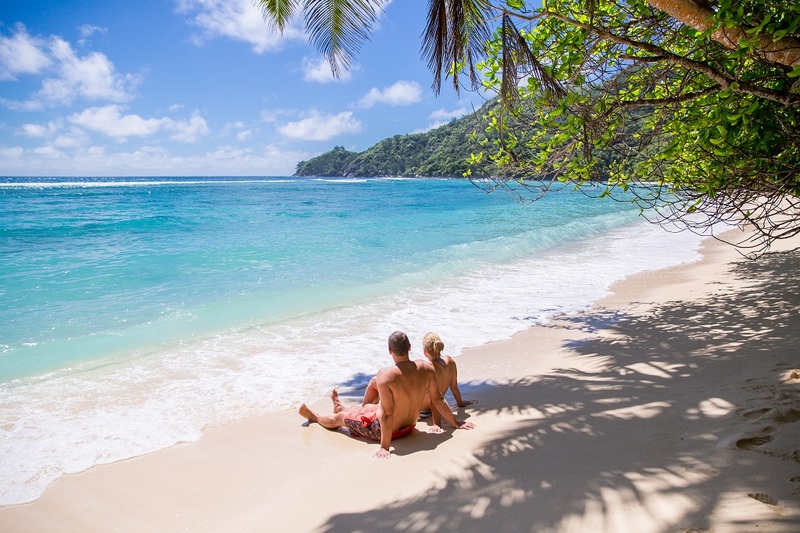 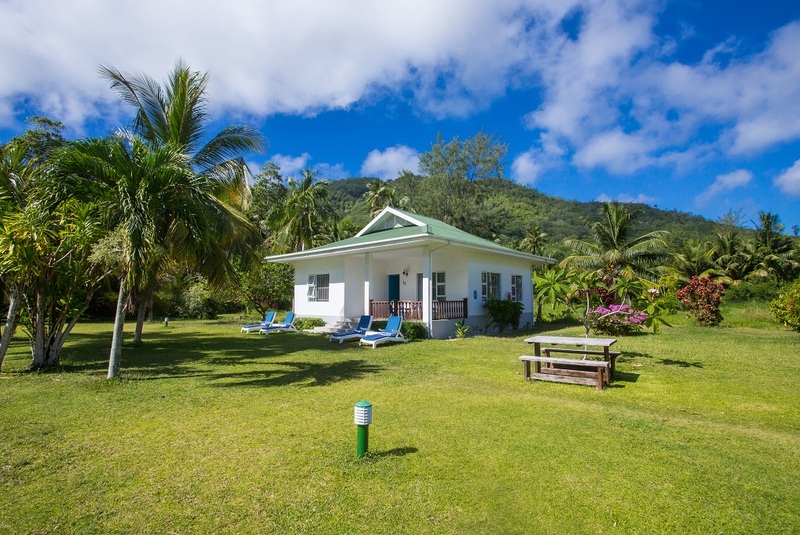 Seychelles Self Catering Family Chalets on the Beach of Anse Forbans South Mahe Island. 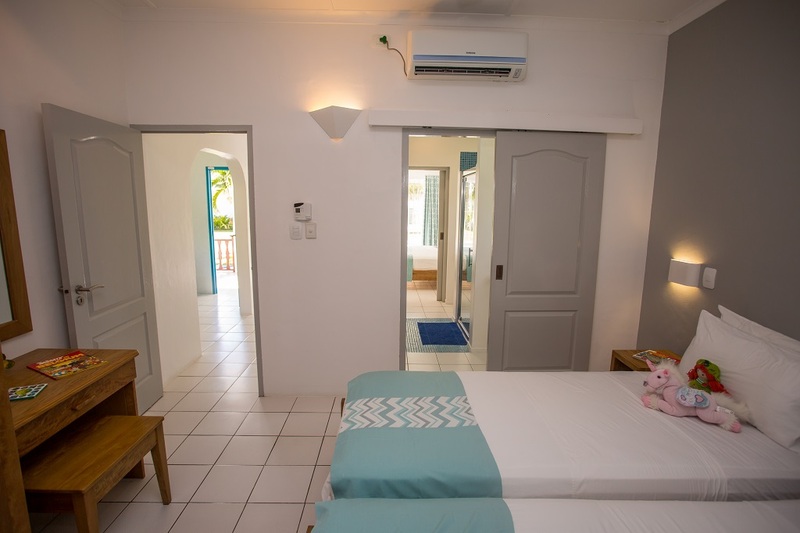 Chalets d' Anse Forbans larger Family Chalets measuring a total of 90sqm are designed to comfortably cater for 4 guests and decorated to ensure your total relaxation. 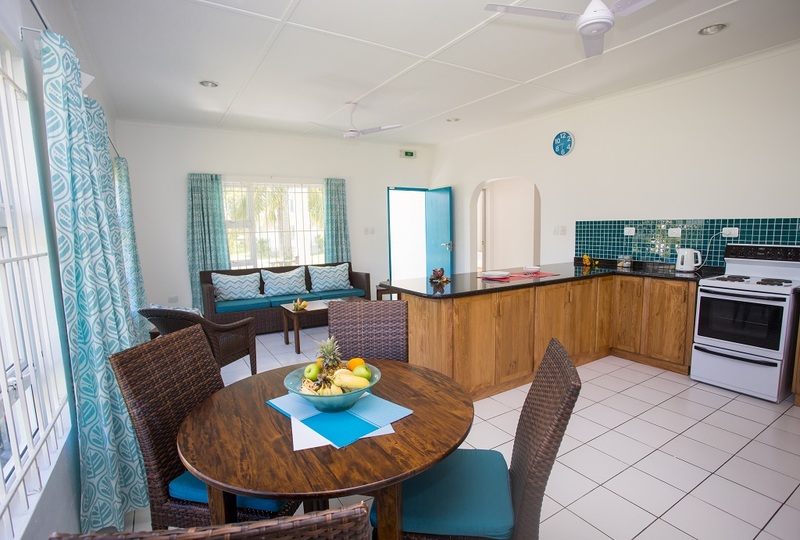 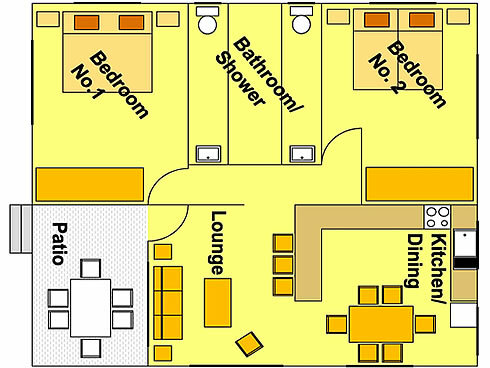 Each Family Chalet enjoys an open plan kitchen, dining area, lounge and 2 fully air-conditioned bedrooms with over head fans and en-suite. 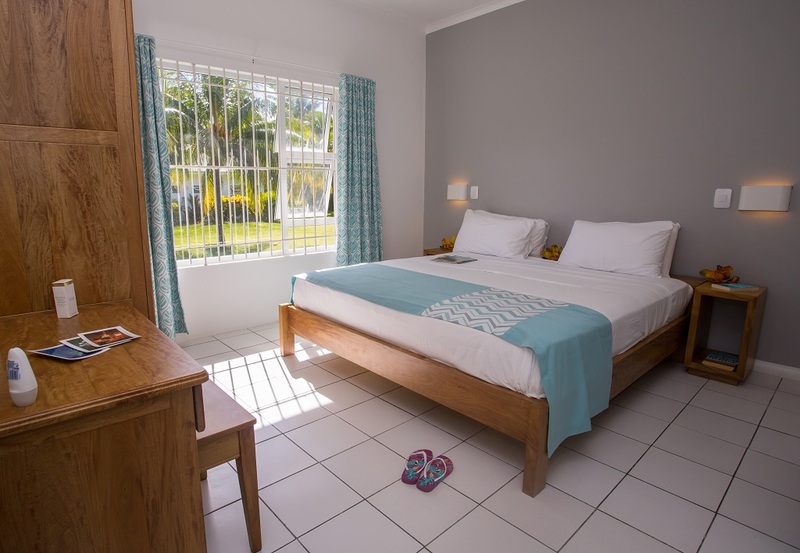 There is also a large private balcony equipped with table and chairs which you can use an an outside dining or sitting area from which to relax and enjoy the sights and sounds of the landscaped tropical gardens. 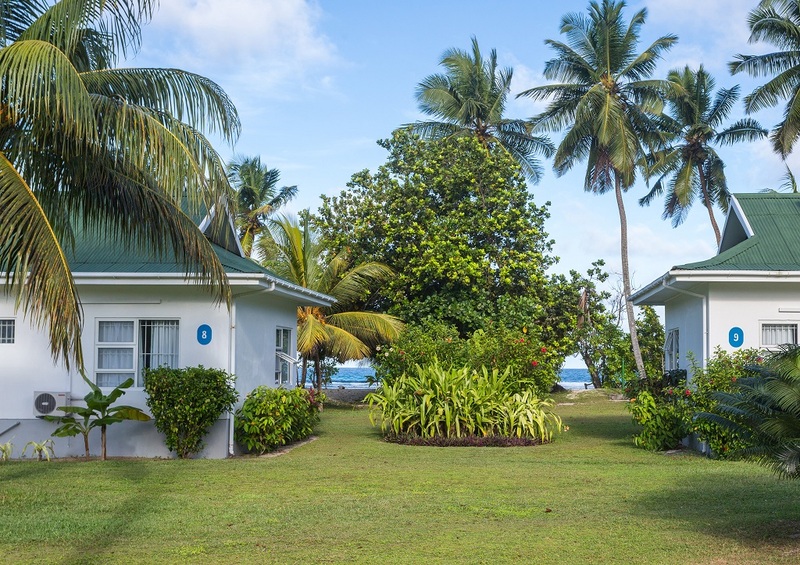 Private sun loungers and sun mattresses are also available for your total relaxation. 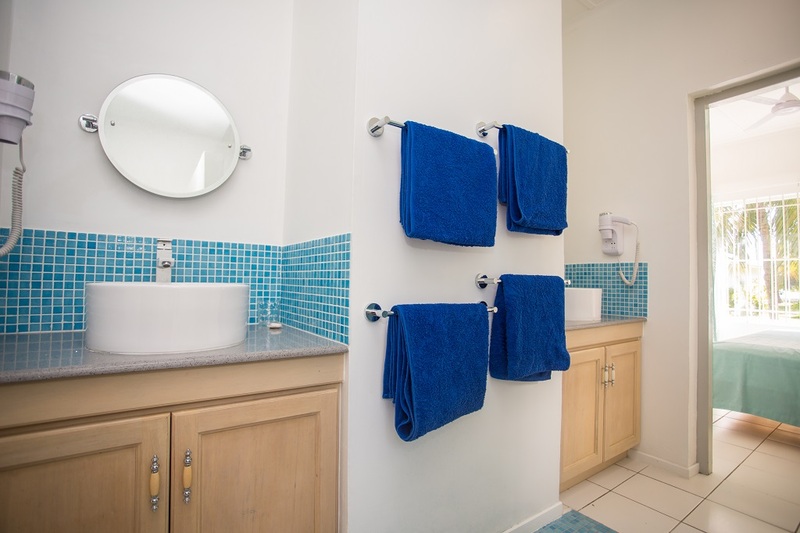 Chalets d' Anse Forbans also caters for our younger guests and we have baby cots, baby high chairs and baby baths on request- subject to availability.